Reduced traffic, better commutes, improved streetscapes and more positive impacts that might turn a NIMBY into a YIMBY. I recently attended my first community information meeting about planning for future development in the downtown core of London, Ont. The meeting helped me understand the negative stigma that residents in lowrise communities often have against highrise development close to their homes. At this meeting, many attendees spoke out against the concept of highrise development. This inspired me to discuss the topic with other Stantec team members, including one of our planners, Stephanie Bergman. She explained that, unfortunately, this is the reality at these sorts of public meetings. The “not in my backyard” (NIMBY) voices nearly always overpower the “yes in my backyard” (YIMBY) voices. The result is less highrise development. If highrise developers match the façade of existing buildings in the area, and couple that with new and improved landscaping, it can really improve the streetscape. So, what’s the solution? According to Bergman, we need more YIMBYs taking part in the processes that will shape communities and help promote some of the positive impacts of highrise development. If highrise development is done right, there can be many positive effects. Here are five benefits that just might shift you from NIMBY to YIMBY. Highrise development gives young professionals the opportunity to live downtown: The housing market in London has boomed over the past few years, which makes it difficult for freshly graduated young professionals to find affordable living. I fall into this category. If I want to live close to work — something I value greatly — my only option is to rent. Single-family homes in this location are too expensive. For this reason, highrise condos have become the only available means for a single person to own property downtown and, in general, close to where they work. More people walking to work means less commuter traffic: I’ve spent my life driving everywhere I need to go in a car. Since I began renting an apartment close to work, I find myself walking rather than driving, not only to the office, but to most of the places I frequently visit. In the community information meeting, one issue that came up was increased traffic due to higher densities of people in a small area. While this makes sense in theory, the reality is if someone is looking for a place downtown, it most often means they work downtown as well. It also means that the downtown resident will likely prefer to avoid driving to work — taking transit, a bike, or walking instead — which would lower overall commuter traffic. Many new highrise buildings utilize the ground level for commercial, retail, or some other active use. The creation of active ground floor uses: Most of the new highrise buildings I have seen developed over recent years utilize the ground level fronting city streets for commercial, retail, or some other active use. This opens new possibilities for retail shops and restaurants to open, where previously there was only a parking lot or old building that had been underutilized. This gives new life to areas that were once bare. If a new café wants to open along my walk to work, count me in! Improved and updated streetscape: Another hot topic at the information meeting was the look of highrises near residential communities. In my experience, developers want their buildings to stand out in a good way. A lot of effort goes into the look of the building, particularly the first few floors, as these are the only floors people see when walking by. Matching the facade of existing buildings in the area, coupled with new and improved landscaping, makes areas that were once asphalt pads look renewed and become something enjoyable to see on your morning run. More eyes on the street: Increasing the density of people in an area means more eyes on that area. This creates an artificial “neighbourhood watch,” where more people constantly interact and truly see one another. More people on the street creates an atmosphere of safety and provides informal surveillance of the urban environment. Bergman mentioned this point to me, and I find it very interesting, as it doesn’t seem like something people would think about when looking at a highrise development proposed in their area. 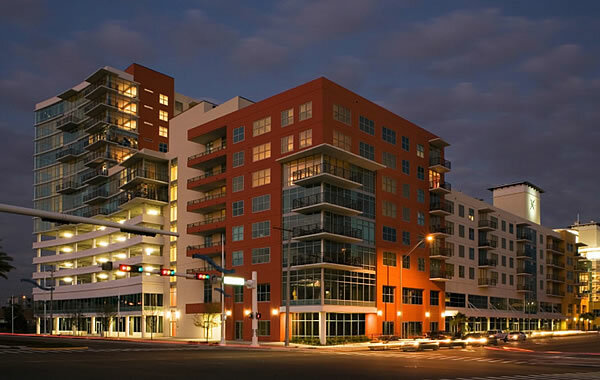 I’m hoping that readers can see what a highrise development done right can do for a community. There’s a value that comes with it. I’ve always seen development as progress, and progress for your city is a good thing. Let’s get more people saying YIMBY instead of NIMBY. Derrick Rice is an engineering intern at Stantec‘s London, Ont. office.